There’s some pretty cool things going on at umai by Japan Centre Westfield Stratford City. Our second stand alone store located in the bustling Westfield mall houses all your favourite Japan Centre goodies as well as a special central umai deli area where you can pick up fresh sashimi and sushi, hot from the pan tempura and of course our latest Japanese burgers! On Friday 27th April from 5pm – 8pm just round the corner from our Westfield store there’ll be a Japan Centre Pop-Up store full of exclusive items and limited offers which we’re sure those of you with a passion for Japan would love to get your hands on! A chance to buy exclusive pop culture goodies straight from Japan! These items not usually available in store include much sought after Miyazaki memorabilia, cute Japanese stationary and other unique goodies. Turn up nice and early and there’s a FREE manga badge for the first 30 customers! 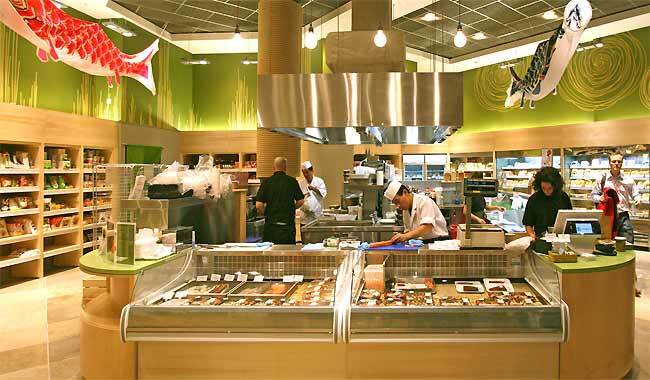 Watch out for more exclusive offers at umai by Japan Centre Westfield coming soon! Posted in Food and tagged manga, Studio Ghibli, sushi. Bookmark the permalink.